The Rio Grande is one of El Paso, Texas’, primary water sources. The river supplies as much as half of the city’s water needs. However, climate change is making that difficult and is pushing the city to look for new water sources. According to KFOX-TV, El Paso is on track to become the first large city in the U.S. to treat its sewage water and send it back into its taps. According to the federal government’s most recent national climate assessment, increasing temperatures will make the dry region more vulnerable to drought. Scientists have found that as temperatures have risen, the amount of snow melting and feeding the Rio Grande has dropped. “We’re getting less runoff now than we would have gotten as recently as the ‘80s or ‘90s,” said J. Phillip King, civil engineering professor at the University of New Mexico, to CNN. King tracked the river’s water levels for the pas 27 years as an adviser to the Elephant Butte Irrigation District. According to CNN, the district manages the water distribution of some 90,000 acres of farmland along the Rio Grande Valley. King said there is less snowmelt coming from the northern New Mexico and southern Colorado to feed the river, according to CNN. “You know we’ve already gotten critically low here, and you think of the Colorado as a few years away from a similar fate,” King said to CNN. According to King, the Rio Grande has survived severe and sustained droughts. The federal government is projecting the temperatures could rise an addition 8℉ in the region by 2100. Under the 10 million acre-ft of freshwater in the Hueco Bolson aquifer there is an additional 30 million acre-ft of brackish water that can be treated and used as drinking water, according to El Paso Water’s hydrologists. According to CNN, it is estimated that Texas has nearly 3 billion acre-ft of groundwater to use. That is more than 20,000 times the amount of water El Paso has used this year. 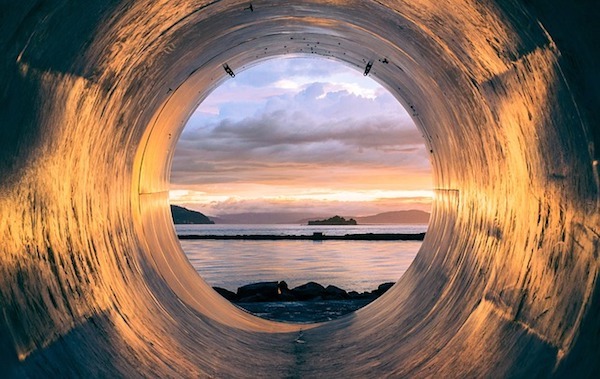 According to the U.S. Environmental Protection Agency, the wastewater amount produced in large cities can represent 50% to 60% of the total water supplied. This would provide a massive resource for cities like El Paso.